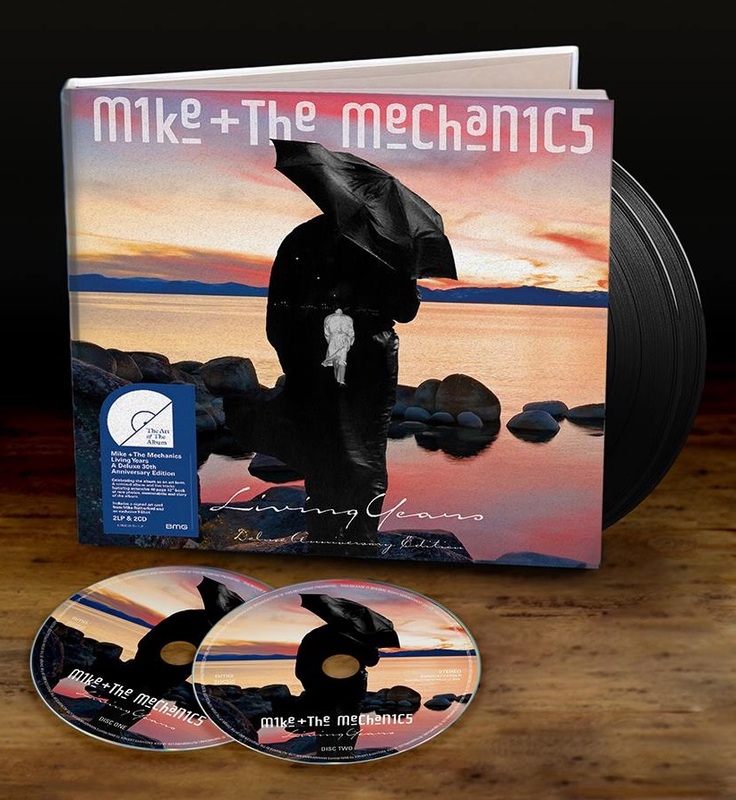 The Mike + The Mechanics album Living Years will get a special Deluxe anniversary edition release on 26th October. The original album was released in 1988. There was a deluxe edition in 2014 already, celebrating the slightly delayed 25th anniversary. The content of the 2014 edition and the new one is the same. Nevertheless, the new set comes in LP-format as a 2LP/2CD-Book. The book contains 40 pages and the cover image has been coloured and slightly altered. The first LP and CD contain the standard album in its 2014 remaster edition. The second LP and CD contain the bonus track from the 2014 edition, i.e. the 2014 re-recording of the track The Living Years with Andrew Roachford on vocals and eight live bonus tracks: Seeing Is Believing, Don't, Black & Blue, Silent Running, Par Avion, Take The Reins, Nobody's Perfect und Hanging By A Thread. So far, the 2LP/2CD-book can only be pre-ordered on a special website (click here) and you can add an optional T-Shirt. The set (without shirt) will also be available elsewhere, preorders at amazon etc will be possible by the end of September. Still available is the 2014 deluxe edition, in some countries for a eally small price. Check out amazon-uk or amazon.fr for this. It's also available on iTunes in some countries (click here to check availability).